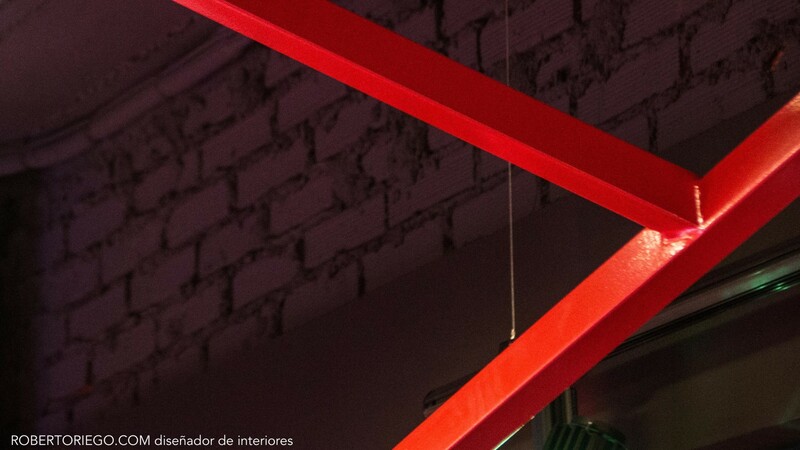 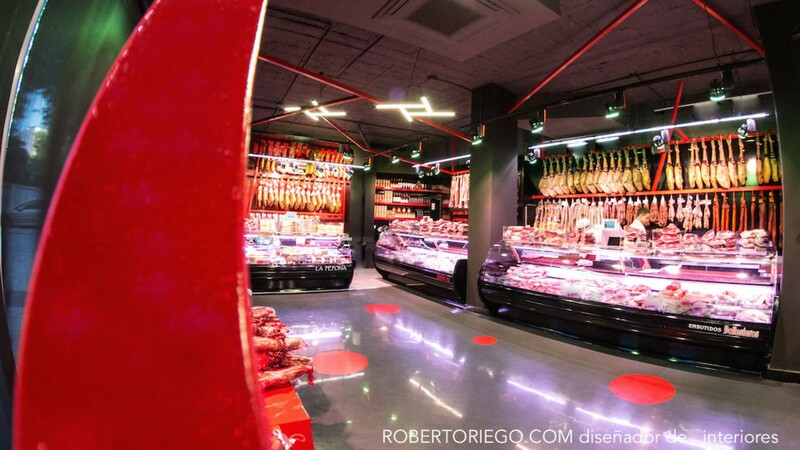 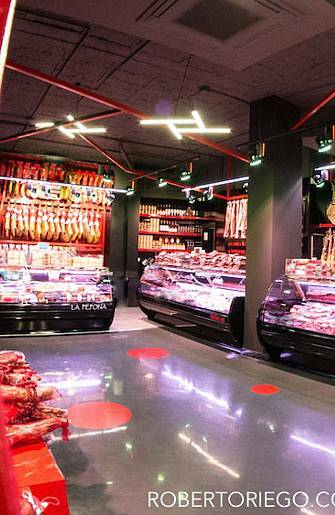 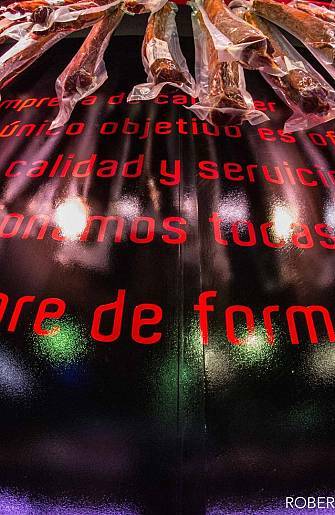 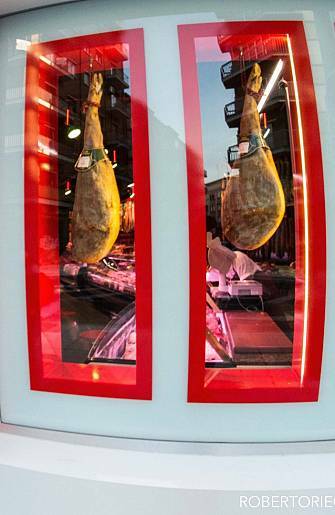 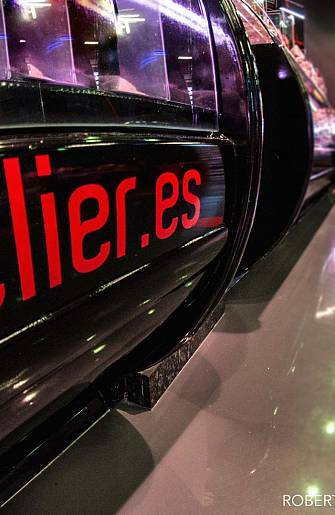 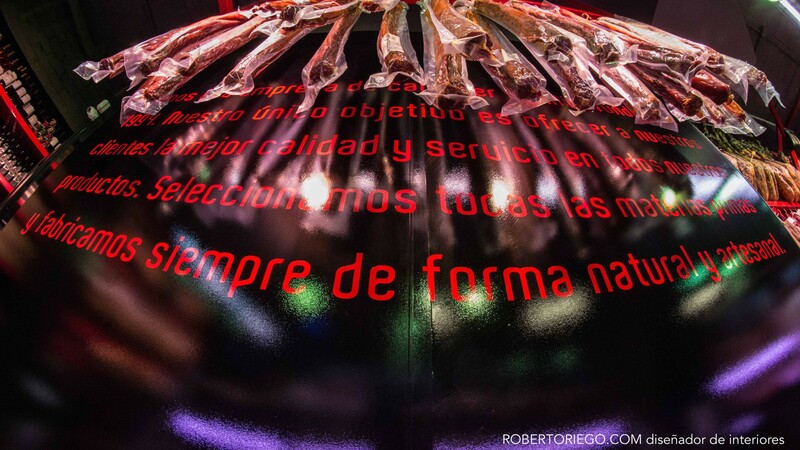 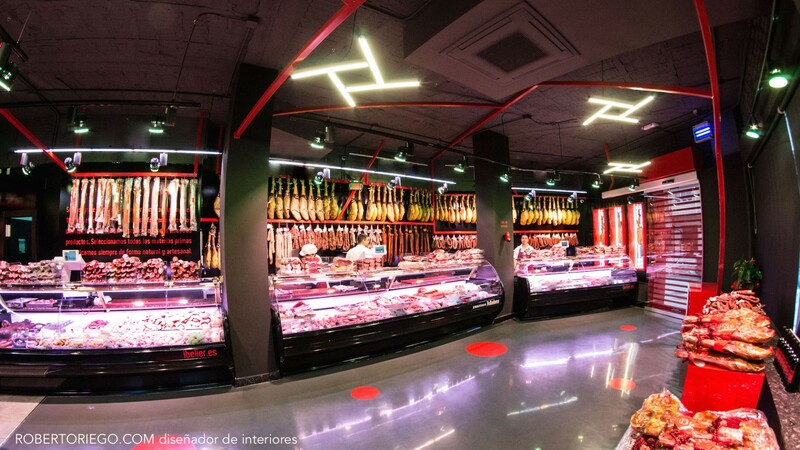 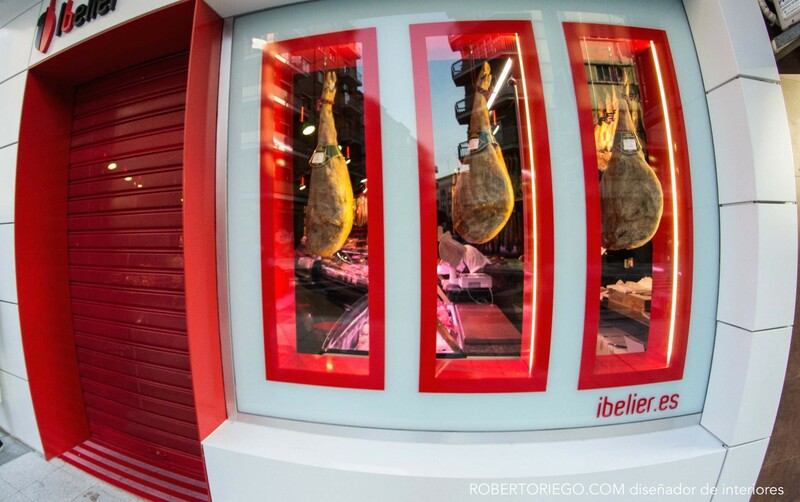 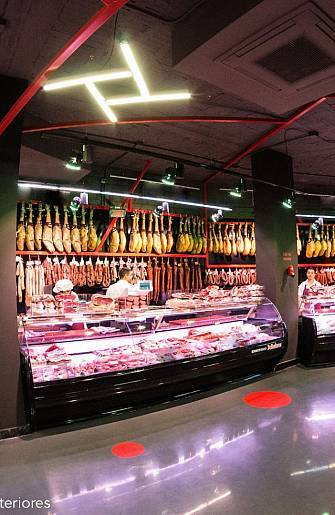 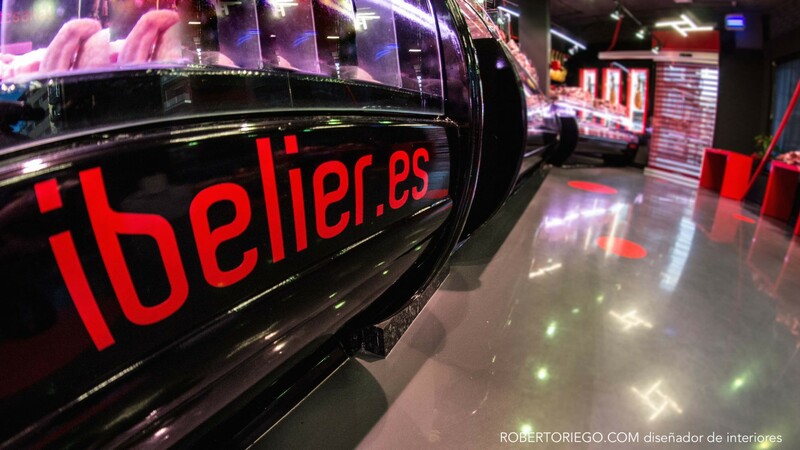 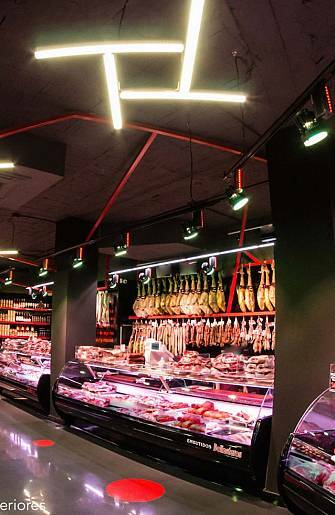 IBELIER is a new concept of Iberian ham shop where we unify the quality of the product with a very modern and minimalist interior architecture. 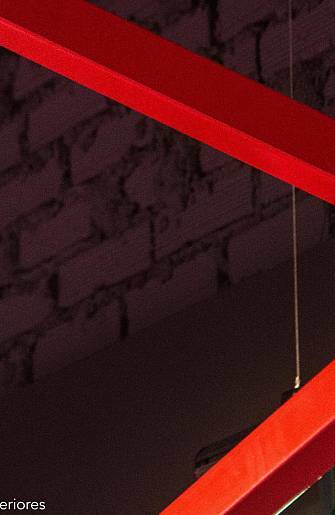 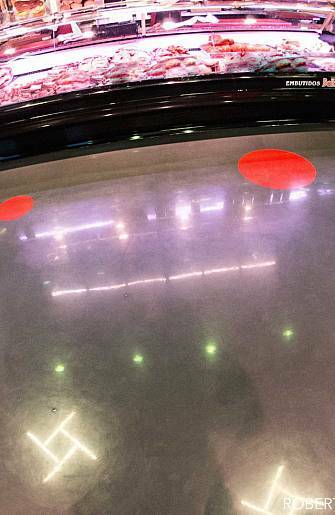 Red metal strips, building structures seen. 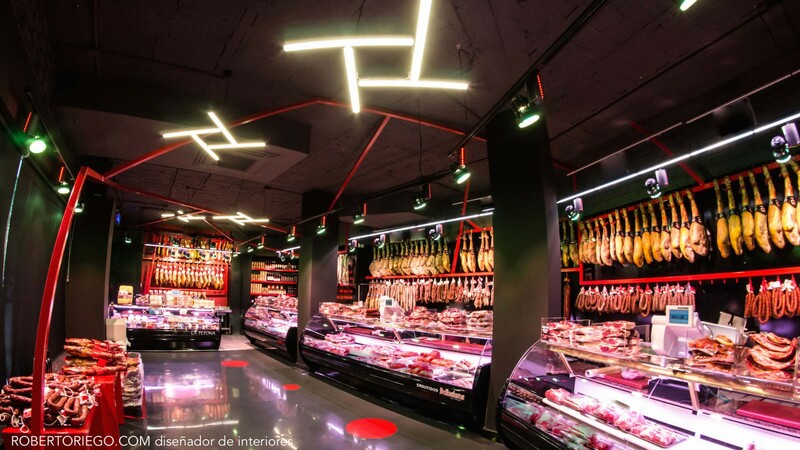 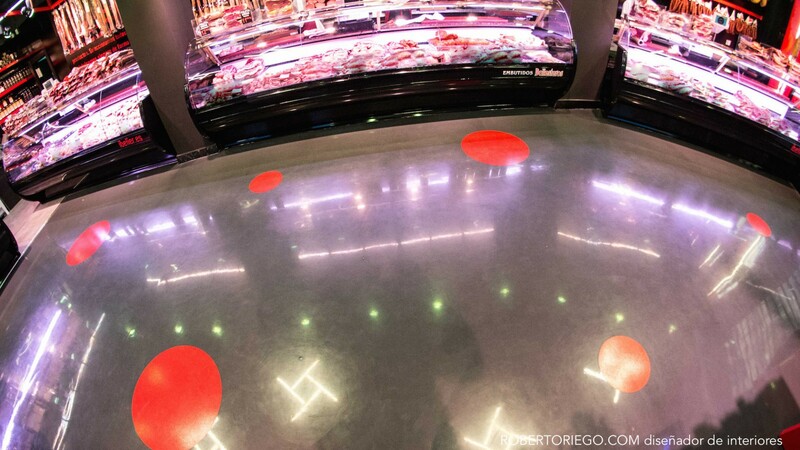 All unified for a new design concept in food.